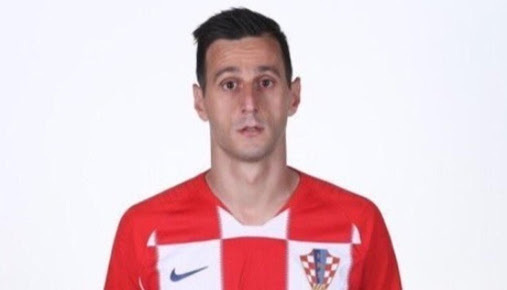 The other was Nikola Kalinic He was on the bench for Croatia's first game against Nigeria. With five munites to end that game, coach instructed him to dress up and replace another player which was a great opportunity to prove his worth. Kalinic angrily refused to play in protest of being left on the bench or playing other players ahead of him. He saw himself a top player and wouldn't come on for just five munites, meanwhile the focus at the moment was for a team work and success. The coach turned to other player Pjaca for the substitution. After the match, Kalinic refused to apologise, despite appeals from other coaching staff, resorted to insinuations, other petty and negative talks . The coach then ignored and sacked him from the team and sent him home from Russia. Kalinic flew for holidays and even posted pictures of himself enjoying elsewhere. After all, he seem to imagine, Croatia won't go anywhere in the tournament. But without him, the team managed to win their matches from their weakness and shortcomings. He may have regretted now. He may have realised his tomfoolery. But it is too late. These stories about life are quite familiar to us, but do we really learn lessons from them? As they profoundly apply to all spheres of life? Learn to CUT PRIDE. Learn to control anger and DEFLATE EGO and ultimately, learn to say SORRY & Appreciate little efforts and help rendered in the name of opportunity, teamwork and cohesion.